Did you know that chess is the oldest skill game in the world? While the true origins of the game is still a controversial topic and cannot be pinpointed accurately, the documented records of the game in Islam, India, China and Persia makes for an interesting read nonetheless. Chess was introduced into Western Europe around 1000 A.D. with the earliest references dating back to 1050 AD, which means finding its definite route into Europe is not possible. By 1100, chess had become very popular and has also been attributed to the court of King Arthur, Charlemagne and even to the siege of Troy. It is also true, that while there have been more books written on this game than on all other games combined, little is known of its actual origin. From what we have found chess was being played in India, China and Persia many centuries ago, and through a series of invasions the game soon found its way to foreign lands and has come a long way. Chess sprang in history at around 600 AD in Ancient Persia, anything further in antiquity would mean delving in ancient myths and lore (and we all know every civilization has its own!). For the Chinese, the game was invented by Shennong, the mythical emperor. For the Indian, the game was invented by Queen Ceylan. For the Persians, it was invented by the wise Indian, Sassa, and for medieval Europe, it was Xerxes. No matter what the claims, it is without a doubt that chess is an Asiatic game, even though its origins have been cradled between three regions – Eastern China, India, and Persia or modern day Iran. While many still argue of being the sole authors of the game, no one can deny that all three of these regions share a genetic link in the game of chess. And while the mainstream theory on the history of chess is that it was born sometime in the 6th century in India, nevertheless, it is no harm to revisit the claim by analyzing the various factors that brought some historians to that conclusion. We will attempt to do that here. 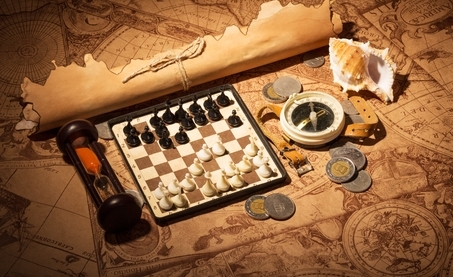 The question on the origin of chess can be examined by taking into consideration certain the information we’ve gathered from tradition, literature, language and of course archaeological findings. Tradition is the transmission of customs or beliefs from generation to generation. While historians nowadays have much more to study as compared to their ancient counterparts, still tradition should not be completely ignored. Here we are going to talk about how chess was integrated into various traditions. Persians claimed to have received the game from what they referred to as “Hind” or India. But, it is also important to point out that the borders of the ‘old countries’ were very different from their modern names. For instance, the word “Hind” basically means “lands of the Indus”, and during the Sassanian period, this was more or less around Sindh in modern-day Pakistan. It is also important to remember here that the Sassanian Empire was very close to the Indus Valley or “Hind” as well. If chess had indeed come from the remote Persian land in the East then the legend would definitely be prettier. After all, all that as exotic for the Persians at least, was said to be coming from India, and it is possible that this tradition was maintained. While there is no problem in believing the Indian provenance, the lack of evidence to back the theory leaves room for speculation. As mentioned earlier, information regarding the origins of chess has been scarce, but the fact that Persians mentioned that chess came to them from Hind reinforces the belief that chess did in fact originate from India. China also does not hesitate to chess having a foreign origin, and clearly states in its texts that chess came to them from the West via the Silk Road. The problem lies in the fact that while modern Chinese writers have no qualms saying that chess came to China from India, the classical Chinese writers have attributed certain designs of the game to mythical Chinese emperors. A good example of this can be given of Emperor Wudi, founder of the Beizhou Dynasty in Northern Zhou (561-578). It has also been mentioned that General Han Xin may have had a hand in creating chess way back in 203 BC, but that’s more of a myth than a part of history. It could be that the Chinese classical writers were just ignorant about the origins of chess, and that they just assumed that the game was Chinese. 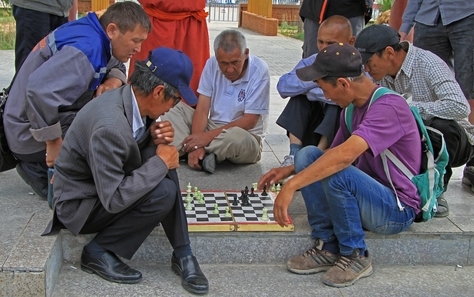 It is also important to point out here that the Chinese version of Chess called Ziangqi, is not at all similar to the Indian or Persian version of chess. So, the Chinese Classical writers had good reason to believe that their Xiangqi originated in China. In conclusion, India has a clear advantage as far as tradition goes when it comes to the origin of chess. Literature can be defined as written works, or at least those considered of superior or of lasting artistic merit. In comparison, literature is a more reliable way of finding facts as compared to tradition. But, that does not mean that caution is not necessary in literature too. When it comes to literature, even the texts are either quotes on the subject that were written down several centuries after their original composition. This leaves much room for error, which also means that the ancient manuscripts need to be compared with other copies of around the same dates in order to confirm its authenticity. And therein lies the rub, because not much can be confirmed due to the lack of other copies. Even so, we will have to make do with what we have. When it comes to chess, the earliest literature comes from ancient Persia, even though its origins are rooted in India. There are three different texts that have been written in Pahlavi which indicate that chess was played in the Sassanian court, the oldest of which is the Wizarishn i Chatrang ud nihishn i new ardakhshir, which was written in the year 600 AD. Second comes the book of the achievements of Ardakhshîr, son of Pâbag who lived between 590 to 628. Also written in the 7th century was the Khusraw î Kawâdân ud Rêdag, which was also written in during the Sassanian Dynasty. This makes it clear that the game of chess was popular at least for the aristocratic class. Not long after, the Persian Empire was invaded by the Arabs, who also adopted the game of Shatranj, as it was called by the Persians at the time. The first time we hear any mention of the game is in Al-Farazdaq’s poem which was published around 728. The Ramayana mentions of “chaturanga,” but it is used as merely a military term which composes of four key parts, the cavalry, chariots, infantry and elephants. While one would expect that there would be more literary sources on the game that many historians claim originated in India. Sadly, there isn’t. And even where these references are made, they are far too vague to compare to chess, which is also another reason why they have been discounted by historians through the years. The single most compelling piece of information in ancient Indian text comes in the Sanskrit Harshacharita, but even that too has become too controversial for other reasons. It was written by the court poet named Bana who expressed his joy with the ruler of Kanyakubja, King Harsha Vardhana. While some believe that the text describes a board game of 8×8 squares, others call it a description of the four folded army called Chaturanga. Yet, there are others who describe the text as an allusion of Purusha the giant who was captured by the Gods with the help of a net and his limbs cut on a square board measuring 8×8. Whatever the text may say, it is impossible to pin down. It is important here to note that a civilization like India which possesses so much literature on games, there is no proper description of the game of chess, with the first solid piece of information coming from a place like Kashmir in Rudrata’s “The Ornaments of Poetry” and “The Victory of Shiva” by Haravijaya. The most comprehensive description of the game of chess in Indian literature is found in the Manasollasa, who was a South Indian prince who lived around the 12th century. The only problem here is that the account comes quite late from a region where Chess seemingly originated. In Chinese literature, we find ideograms such as qi and xiang in ancient writings such as the Zhaohun, which was a poem by Song Yu. The second example comes from Shuo Yuan who lived around 1st century BC in Liu Ziang. Another problem lies in the fact that the description of the game cannot be fully attributed to that of chess, and could also be another game such as Liubo, which was also famous in China at the time. The main problem with decoding the Chinese texts is that of the Chinese writing system, where there are always many interpretations for the same verse. To make matters worse, the Chinese use many different ideograms which all have several meanings. For instance, the word “Xiang” can mean portrait, ivory, or elephant amongst other things, which makes it incredibly hard to pinpoint the exact meaning of a single word. Chinese literature also mentions Xiangjing, which dates back to 569 and comes from the Zhou Dynasty, and more specifically, Emperor Wu. While the book has been long lost, the preface which was written by Wang Bao still remains. Upon reading the ancient texts, one can see that it mentions of an ancient game called Xiangxi. There are also other Chinese references that indicate emperor Wudi had invented the game somewhere between 561 and 578. So, was it the game of chess? There really isn’t no real way of knowing. It could just be the game, Liubo again. While it has not been proved that the game mentioned there is chess, to be fair, it has not been proved not to be chess either. When it comes to Chinese literature, the only firm reference we get of Xiangqi is from Niu Sengru, who was the state minister during the Tang Dynasty (805-808). Here, we find something similar to chess in his book Xuanguai Lu. The only reason why we are led to believe that the author may indeed be describing the game of chess is because there are descriptions of several moves that are similar to that of chess. Another reference to the game in Chinese literature comes to us from Bo Juyi who lived around 829, and gives a somewhat vague description of chess in his poem. Then again, the appearance of text comes much later in Chinese literature as compared to the Persian prose. As far as ancient literature is concerned, Persia is way ahead of both India and China but sadly fails to make a firm claim. Archaeology is the study of human history through the excavation of sites and their thorough analysis. This also includes artefacts and other physical remains. When it comes to finding the truth, archaeology has been able to dig up some major findings. While the chess board has not been discovered by archaeologists yet, many pieces have been. And while there may be some difficulties in recognizing the pieces in the middle of a very diverse pool of ancient artifacts, it is a widely accepted fact that finding at least three pieces of a set makes it easier to reach a decision that it is a chess set. That being said, the only thing that makes it harder to identify chess pieces is that they are sometimes mistaken for amulets, toys or other small statues, or vice versa. One of the best examples of this sort of mistaken identity can be given of the famous Butrint piece, which is said to be the first chessman ever found, and which many historians say probably has nothing to do with the game of chess. Nonetheless, let’s take a look at what we have found so far. Archaeologists in Uzbekistan have found many ancient fragments of what look to be chess pieces, the two most prominent of them being from Dalverzin-Tepe. The two pieces represent a bull and an elephant and are said to be from the 2nd century AD. While the timeline of the two pieces is significantly ancient, it also make it highly unlikely that the two are actually chess pieces. Apart from that, in 1977, a discovery was made in Samarkand, also in Uzbekistan, and is believed to be the oldest extant chess pieces ever discovered in the world. A total of seven pieces were unearthed from Afrasiab which included two foot soldiers, an elephant, a knight and another unidentified animal along with two chariots, which are all believed to be parts of a chess board. According to archaeologists the pieces date back to the 7th century, which makes them a good fit for the discovery. What makes this finding so unique is that there have been other similar findings around the areas of the ancient Silk Road, which confirm their origins, and what they were used for. For those of you who do not know, the Silk Road was a famous trade route that was used by travelers and traders during ancient times. What’s even more interesting is the fact that the crossing was at the time inhibited by Persians, while the Bactrians and Sogdians were controlling the posts which led up to the vast Chinese empire. Apart from that, in 2006 another interesting discovery was made in Northern region of Afghanistan. The discovery was made up of five distinct pieces of the Afrasiab set, which now belongs to a private collector. The fact that these five pieces were found in Northern Afghanistan, which known as Bactria at the time, and was a part of Persia makes these more convincing findings. Overall, there have been quite a few discoveries of chess pieces which date as far back as the 7th and 8th centuries, which have been discovered around the area which was once ancient Persia. But, what’s interesting is that most of the findings are coming from along the routes of the ancient Silk Road, Chinese Xianjiang, Sogdiana, and Bactria and less from the ancient site of the Sassanian Empire. When one compares the archaeological findings of the three major regions which lay at least some claim to the game of chess, we see that India trails far behind the findings in Persia. What is the reason for that, we do not know exactly, but it can be said that the damp weather of the region did not do much for preserving the ancient chess pieces, which is the reason why archaeologists have found it so hard to find any as compared to other drier lands such as Persia and China. The fact that archaeologists have not found any remaining pieces of the chess game has been a controversial for India’s claims as being the birthplace of chess. But, maybe we are being too harsh. Let’s find out. There are some who want to see India come front and center as the cradle of the game of chess, and they also claim that the Lothal findings easily date as far back as the Harappa civilization, which was in India. But, it is true that they can very well be chess pieces, they can also be many other things, such as small toys or ornaments, which the Harappan civilization has been famous for. Even the Bodhgaya and the Bharut that describe a kind of chess board has been identified as being something else entirely, and having no relationship at all to the game of chess. Meanwhile, in 1981, a chariot made out of ivory had been excavated in the city of Mantai in Sri Lanka, which is not far from India. The piece was said to be from either the 2nd or 3rd century, so one could also say that it is far too old to be from chess. That being said, the isolated piece does deserve to be re-examined along with the many terracottas, as well as other artifacts that are kept in Indian museums. Since, the lack of chess pieces in India is alarming, re-examining those pieces and being able to prove that some of them may have been used for playing chess would definitely make for a very strong argument for the Indians and their claim that India was indeed the cradle of the game of chess. For the same reason, there was an inquiry back in 2007 by a German team which went to North India to find out exactly what those ancient artifacts were. But, they were unable to reach any scientific conclusion and no official press communiqué was released on the subject. China fares even worse when it comes to archaeological findings of chess pieces. So far, there have been thousands of artifacts that have been excavated in China, none of which have any similarities to chess pieces. Although the ancient chess pieces of Xinjiang and the ones found in the Tarim area, which are very similar to Afrasiab ones have been disqualified from the findings since they lean more towards East Persia. So, the question remains, if chess did indeed come from China, and was a game that was played in India and Persia, then surely it must have been changed rapidly to adopt the Xiangqi form, which would explain why there is no trace of them at all. It is important to mention here that the Chinese play the game of Xiangqi with tokens rather than figurines. These tokens are round in shape and are made of wood, bearing names written on one side. This makes it incredibly hard to preserve the pieces since wood is perishable. This is one of the major reasons why there have been no evidence of the Xiangqi sets. That being said, archaeologists did manage to find one in a wreck which dated back to the Song Dynasty, which was already too late to make a claim. Apart from that, there have been sets made of bronze and copper which have survived which date back to the Chongning period. While the dates make them hard lay claim as the inventors of chess, what makes these discoveries unique is that most of the sets that have been discovered are either complete or nearly complete, and all of the pieces that have been discovered are in good shape, and have been identified as being Xiangqi pieces. From an archaeological point of view, Persia is in a strong position when it comes to claiming to be the inventors of chess. The absence of and findings in India, which is considered by many historians to be the actual birthplace of chess is surprising, and the same can be said of China. And while it is true that both India and China have ancient artifacts that adorn their museums, the pieces have not been indentified as having anything to do with chess. But, the efforts of both countries are continuing to find some clue which would reaffirm their claims. As far as linguistics go, “Chatrang” is a Persian word that could have been easily derived from the Sanskrit word “Chaturanga” since both Sanskrit and Old Persian were related languages, quite similar to modern-day Italian and French. This would make a strong case for the Indians when it comes to the origins of Chess. But, there’s also a counter argument. For instance, chess could have also been invented in the Peripheral region which was not exactly Indian territory, but was influenced by the Indian civilization. A good example of this can be given of the Sogdiana which is modern day Uzbekistan, which was the inspiration for the scenes in Mahabharata. Keeping that in mind, a game such as chess could have very well been called Chatrang. Other words that are related to chess such as the “rokh”, or rook, and “Shah mate” or checkmate are all from the Persian dialect, or mainly Arabic. So, if chess was in fact from India, they will have a tough time convincing people that. Or would they? Many believe that the presence of the elephant is a clue of India being the birthplace of chess. But, there are also those who argue that the presence of elephants in military campaigns were also found in the Persian and the Chinese Empires. When it comes to the chess piece called the chariot it is important to point out that the Persians did not use the word “rah” which meant chariot in Persian, but “Rokh” which was an officer that controlled the flanks during battle, while chariots were used in the Chinese and Indian version of chess. One would also notice that there are no words coming from China in the vocabulary used either in India or Persia, which works against the Chinese claim on chess. But, the presence of the Sanskrit word “Chaturanga” means India has won the argument. While the exact origin of chess still remains to be a very controversial and heated argument amongst the three empires, all of whom have their strong points as to why they lay claims to the game. But, it should be noted that in the end, the Persians do claim that India is where they got the game of chess from. Even though all of the most ancient texts which describes chess or a game similar game are of Persian origins, and have been found to be dating back to the ancient Persian empire. Nevertheless, there are those who believe the Chinese version of the game to be the more primitive of the two. But, at the end of the day, the vast majority of historians and archaeologists still believe that chess originated in Asia, and was born before the 6th century, which makes all three candidates strong contenders of the title. While all evidence points to Northern India as being the birthplace of the game of chess, it should also be noted that Persia isn’t too far behind, since the ancient Persian Empire extended far beyond the borders of modern-day Iran or Uzbekistan or Afghanistan. With China being on the other extremity of the region thanks to the Silk Road. Answering this question exactly would require scholarship in all three classical civilizations, as in, Chinese, Persian and Indian, which is something that has not been possible till now. But, the theory that most historians and archaeologists follow is that the game of chess could have very easily followed down the route of the ancient road of Buddhism, which was the only ancient civilization which travelled out of India to conquer China. But, this to remains to be a speculation since there is now exact way of knowing. The reality however, is that the ancient Silk Road played a large part in the cultural exchanges of all three of these ancient civilizations.